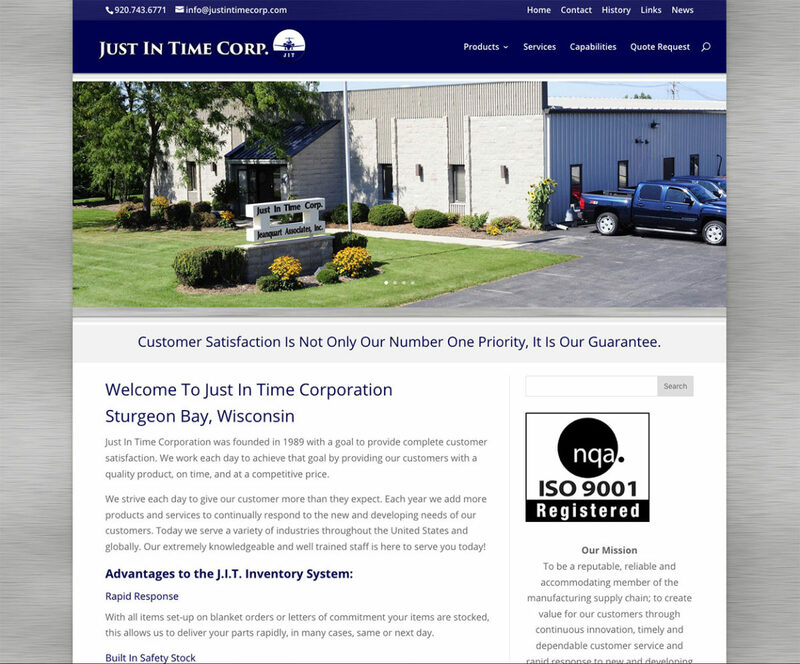 During the 1970’s the founder of Just In Time, Rick Jeanquart, worked in purchasing for a large American OEM. In 1981 he left his position as purchasing manager and started out as a sales representative for a number manufacturers. Over the years he found a need for people to source and stock the products he was selling to accommodate the increasing trends towards lean manufacturing and just-in-time inventory systems. From a small corner in Rick’s garage, Just In Time Corporation was born. In 1989 Just In Time became incorporated and began operating out of a former trucking terminal along the highway 42/57 corridor. The original focus of the company was on providing wire and cable. As the company grew and the success of the just-in-time inventory philosophy was recognized our product offering grew to include other complementary products for the OEM’s we service. The building along the 42/57 corridor was expanded upon twice as the company grew. In 2006 we had reached a point where we were out of room at our original facility and we moved our headquarters into the Sturgeon Bay Industrial Park. The move to the new facility nearly doubles our previous square footage. The new building offers substantial room for additional products, added personnel, and the ability to grow and serve our customers’ needs long into the future. As the years have progressed Just In Time Corporation has been lucky to find an outstanding group of team members who are as customer focused and driven as our founder. Rick’s three children have all joined the business and hope to help carry on Rick’s focus on customer satisfaction. Sourced Products and much more.